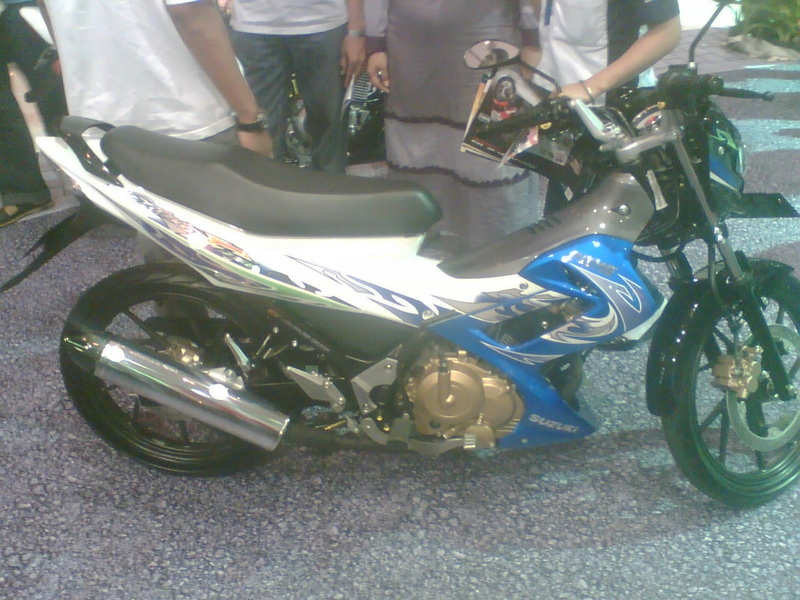 Well.. here is New Suzuki Satria FU 150 CC and with new colors white blue, we know that, Suzuki Satria Fu 150 CC is one of the fastest "little bike", Suzuki always make this bike better and better, truly, on 2008, Suzuki Satria Fu 150 has change the minor thing on design and also features, and today.. The New Suzuki Satria FU White Blue has coming at JCC, i don't know when Suzuki will release this bike, but i thing 2011 is the perfect moment to do it.. here is some picture from New Suzuki Satria Fu 150 CC, it's just one color there is Combination between blue and white.. 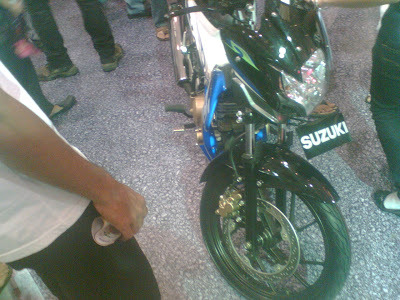 Sorry guys.. it's just two spy shoot pic and i hope suzuki have more than one combination.. I like another "Man" color as like Red Black or also Full Black color on "New Suzuki Satria FU".. Hope ^_^ .